Office 365 is the same Office you already know and use every day. And then some. Because Office 365 is powered by the cloud, you can get to your applications and files from virtually anywhere – PC, Mac, and tablets – and they're always up to date. Same goes for updates to features – you get them automatically. Get your questions answered and get more detail about what Office 365 can do for your business, what it includes, and how it works. Contact your Zones account executive or call 1.800.408.9663. Microsoft has developed plans to meet the unique needs of businesses of all sizes, from unified productivity and communication needs to advanced control and compliance capabilities. Identify business needs and how Office 365 and other solutions can help solve them. Assess your current IT infrastructure, how it can be improved, and how to get ready for Office 365. Choose the right mix of Office 365 services to get the services you need to achieve your business goals. Develop a road map for your IT investments going forward. Deploy a proof of concept environment so you can test Office 365 before making a larger commitment. Run your business the easy way with Office 365. Zones cloud solutions specialists can help you get everything you need to run your business anytime, anywhere. PC, Mac, tablet, phone. You need to be able to work across devices, from anywhere, and have a consistent, clean, and fast experience doing it. Enter Office 365. Whatever device you're working on, Office 365 gives you access to everything you need – your documents, email, calendars, contacts, and team sites all come with you. Your settings roam with you too, so your files are up to date and ready for you to pick up right where you left off, no matter what device you're using. Get more done together. Office 365 offers business-class email, shared calendars, IM, online conferencing, and access to the most up-to-date documents. 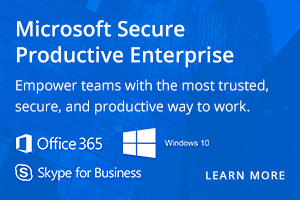 You can work together in real time – and without compromising security. Stop spending time keeping the tools you depend on up to date. And quit worrying about keeping them up and running. Office 365 takes care of both. Microsoft is continually adding new features, so you get them automatically. And, Microsoft's financially backed SLA means 99.9 percent uptime, making life a lot easier and more productive for you, your users, and IT. With Office 365, your data is protected. And control is even easier. There's step-by-step deployment guidance. And, you can manage your users and services from a single admin portal you can get to from virtually anywhere. 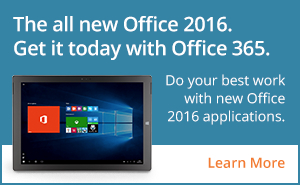 Office 365 built-in security deflects malware, spam, phishing attacks and other threats. 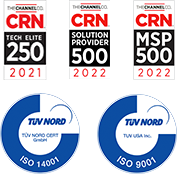 And if you need to, you can connect with an Office 365 expert at Zones for migration, custom work, and ongoing support.